On a September afternoon in Washington Heights, shouts of protest could be heard in Spanish along Broadway. “Here we are! Here we stay! ¡Aquí estamos! Aquí nos quedamos!” elderly residents shouted . They were there to defend their senior center in Washington Heights near 174th Street and Broadway. In April, Fern Hertzberg, executive director of the ARC Senior Center, received a letter that the owners of the building would not be renewing their lease agreement and that their current lease would expire on Dec. 31. Finally, Adriano Espaillat, New York state senator and congressional hopeful, showed up and surrounded himself with the elderly, encouraging their chants in Spanish. Espaillat, 62, was born in the Dominican Republic and is running against Republican Tony Evans for the 13th Congressional District in upper Manhattan and portions of the Bronx. On Tuesday, he won an easy victory with 89 percent of the vote, becoming the first Dominican elected to Congress. His message was “putting families first” and to support policies that stand up for those at a disadvantage. Espaillat finished and then repeated what he said in Spanish, with cheers from the elderly who still surround him. 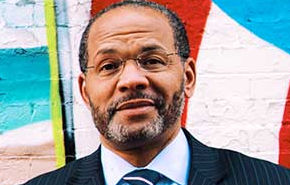 Espaillat’s opponent, Tony Evans, also saw the problem with gentrification in the neighborhood. Evans lives in Harlem and has been witness to the rising rents, a trend confirmed in a New York University Furman Center report released in May that shows that Harlem has seen a 53 percent rent increase between 1990 and 2014. Espaillat wants “federally designated anti-gentrification zones,” according to the Huffington Post. He would represent some of the most rapidly gentrifying neighborhoods in a district that includes Central Harlem, East Harlem, and Morningside Heights. Fighting for the ARC Senior Center in Washington Heights is right up his ally. Its struggle helps show the dangers that Espaillat sees in gentrification in Washington Heights. Espaillat told the crowd, “If this happens here, it could happen to any center across this neighborhood.” According to the website for Moriah Senior Center, Washington Heights and Inwood are the two neighborhoods in New York City that have the highest percentage of seniors, leading to fears that if one center closes, others could close too. Shuli Gutmann, director of the Moriah Senior Center, stood next to Espaillat and later spoke about the challenge that seniors face. “We are a generation that fetishizes new and forgets our seniors. We must remember that we will be seniors one day and we need to take care of them,” she said. The “second home” for the seniors provides wellness workshops, dancing, arts and culture, and other social services, along with a kitchen that can provide healthy meals for those who aren’t able to cook. Its location is pivotal as it is one block away from J. Hood Wright Park, allowing easy and quick access for the seniors to spend time outside. The seniors range from 65 to 104 years old. Efforts to reach the Senior Center and contact Hertzberg for updates on the lease renewal were not successful. There was no comment from the church when it was contacted for input concerning the ARC Senior Center lease and its landlord.